(NaturalNews) A large group of medical doctors, psychiatrists and researchers are demanding that the American Psychiatric Association retract a shady study that relied upon industry influence to determine the effectiveness of an antidepressant that's widely prescribed among children and teens. The study, published more than a decade ago in the American Journal of Psychiatry, touted the benefits of Celexa in younger populations suffering from depression. However, a recent analysis of the research found "gross misrepresentations" about the safety and effectiveness of the drug, including the fact that Celexa worked no better than the placebo. The researchers say that the study reflected the "pervasive influence" of the marketing objectives of Forest Laboratories, the Celexa manufacturer, adding that the "scientific" manuscript was "written primarily for marketing purposes and only secondarily as a peer-reviewed journal." In other words, the study was totally fabricated to extend the consumer base for Celexa to children and teens, the fastest growing demographic for which antidepressants are prescribed. The analysis revealed that the study was written by none other than ghost writers employed by Forest Laboratories who "seriously misrepresented" the data about the drug's safety and efficacy. "Forest's own internal documents disclosed in litigation show that company staff were aware that there were serious problems with the conduct of this trial but concealed the problems in advancing their commercial objectives," said the researchers. As reported by Stat News, "Procedural deviations in the study were not reported; negative outcomes were not reported; [and] side effects were misleadingly analyzed." The researchers' letter demanding a retraction is dated August 1, 2016, and addressed to Dr. Maria Oquendo, president of the American Psychiatric Association. It asks Oquendo to urge the current editor of the American Journal of Psychiatry to issue a retraction. "Our main concern is that children and adolescents are continuing to be at risk of harm unnecessarily because well-intentioned physicians have been misled," they wrote. "We believe that the unretracted ... article represents a stain on the high standard of the American Journal of Psychiatry (AJP) and the American Psychiatric Association (APA). Neither the AJP nor the APA can claim to be a leader in scientific research." 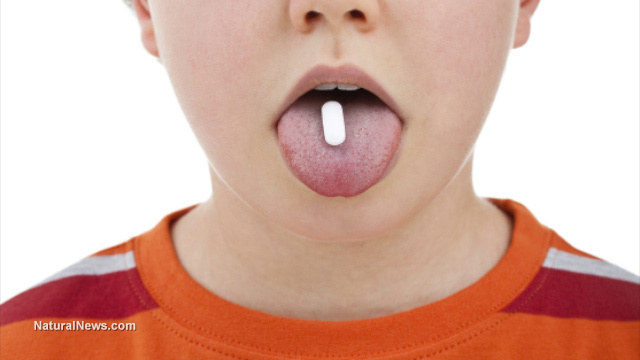 The revelations come roughly two months after a groundbreaking report revealed that most antidepressants marketed for children and teens are not only ineffective, but downright dangerous. The research, published in The Lancet, reports that out of 14 antidepressants, only one (Prozac) provided depression relief for children and teens. Other antidepressants such as Effexor increased the risk of suicidal thoughts and suicide attempts in younger populations. The study is the most comprehensive analysis ever conducted regarding antidepressant use among children and teens. The adverse effects of antidepressants continue to be disclosed by both physicians and patients alike. English fashion model Cara Delevingne recently told Britain's Esquire magazine that antidepressants turned her into a "sociopath." Delevingne, who took the drugs for two years as a teenager, said she lost all feelings, and was "just numb" until she stopped taking them. "I didn't feel s**t. It was horrible. I was like a sociopath. When something was funny I would go, 'Ha ha!' just because other people laughed, but then I'd stop immediately because I wasn't really very good at faking it."